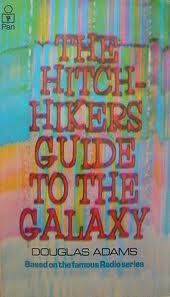 I have a favourite quotation from one of my all-time favourite books “The Hitchhiker’s Guide to the Galaxy”. The scenario plays out something like this. Arthur Dent and Ford Prefect (an alien with a carelessly chosen pseudonym) are in the pub just prior to the destruction of the planet earth. 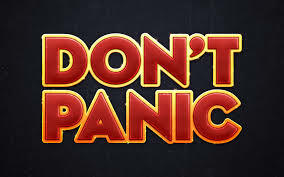 Ford Prefect, who is well versed in the ways of the universe, has told the barman several times that the world is about to end but the barman keeps on going on about that afternoon’s soccer match in which he seems to think Arsenal don’t stand too much of a chance. Six pints of bitter and quickly please. The world’s about to end. Oh yes sir nice weather for it. Going to watch the match this afternoon? Foregone conclusion you reckon sir. Arsenal without a chance? No it’s just that the world’s going to end. Ah yes you said. Lucky escape for Arsenal if it did. Well it so happens that just recently my own personal planet earth was facing something of an apocalypse. You see I had just been out on a three hour hike, something that I do from time to time to generate what has become an infrequent but at the same time regular newspaper column, focusing, as you might guess on outdoor things, nature walks and such. 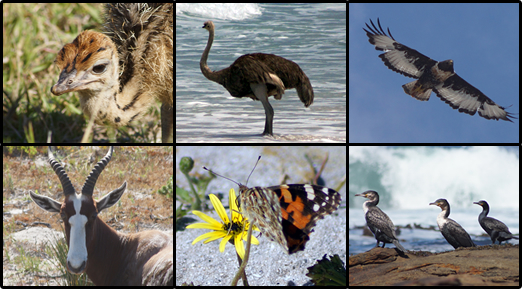 On returning home with a few hundred pictures of ostrich babies, bontebok, seascapes and much more I settled down to edit the images and write the column. On my computer the files all appeared in date ordered files but the card was almost full so I figured that I would get rid of a pile of old images that were cluttering up the place. That’s where it started to go wrong. Apparently, although the computer “saw the images” in folders the camera felt that they were all in the same folder and when I went to delete a few of the extraneous pictures the device decided to wipe out the entire lot. 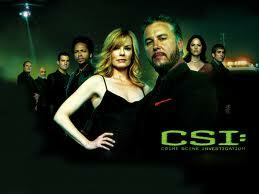 However I have seen enough CSI on the telly’ to know that files that are “deleted” aren’t really most of the time actually destroyed and if Grissom and his team can find deleted images on the computer of some nepharious criminal there should be some chance that I might recover mine. That was the hope anyway. 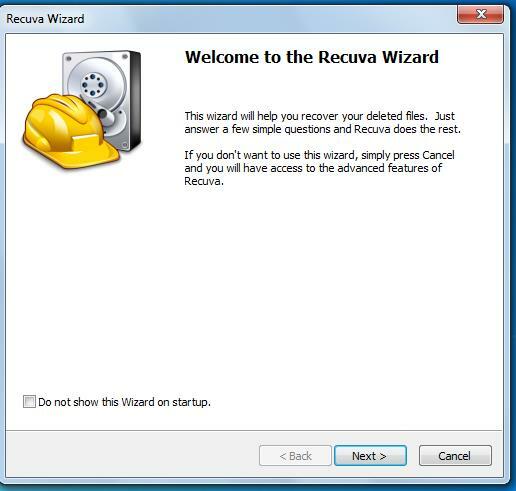 Off to Google “recover deleted images” and as fortune would have it I found some useful information and a piece of free software that cheerily offered to “get my pictures back”. Of course I am a fifty plus year old semi technophobe and as with so many things it didn’t all go quite according to plan. It seems that the software, wonderful as it might eventually turn out to be, simply didn’t see the camera. The computer saw it, Windows Explorer saw it but the software didn’t and therefore I couldn’t search it for the lost files. I thought at one point I had managed that and waited an hour or so for it to do whatever it was doing only to return the message that the files found were ignored. Finally I recognised the problem and ran the same software on someone else’s computer which harboured within its workings a card reader drive. Lo and behold, there was the card with a drive allocated to it, “Removable disc (I: ) or some such and I was able to run the program and find my files. So I am now back in possession of my much missed images and have been out and bought, at nominal cost, a card reader which will plug into the USB ports on my computer allowing me to better manipulate data stored on cards in the future. Ignore the wizard and click cancel in the bottom right hand corner. Select the drive which you wish to search for deleted files (remember the system will not see a camera as a drive so you need to use a card reader to get to it). Under the options/advanced tab select the search criteria. I used the following hoping to be sure that it would find the lost images. 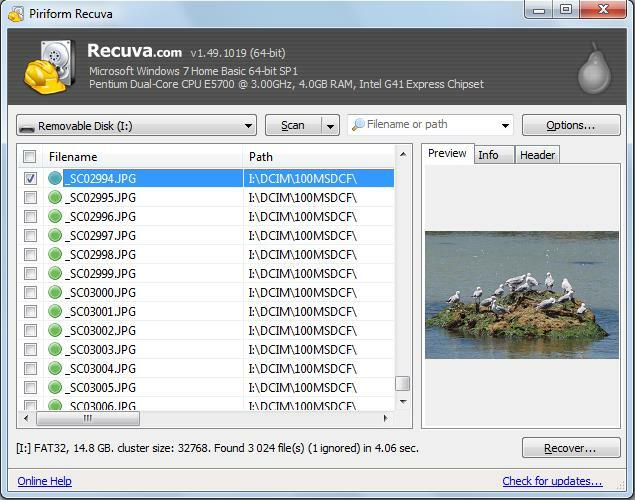 Then click “scan” and your files will reappear as if by magic in the file name box, you can even see a preview so you know that you have the right pictures. 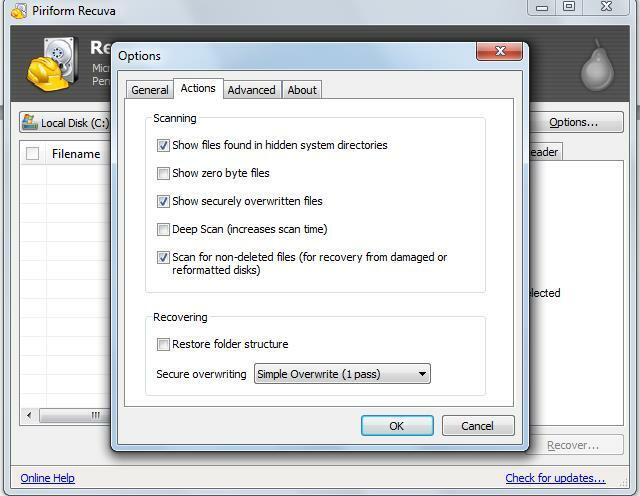 You can then select which ones you wish to save and click “recover”. Just save them to a different drive on your computer and you are good to go. It took a bit of fiddling, mostly because I didn’t realise that cameras don’t get recognised as drives on the computer. But there will be champagne and caviar tonight, this little bit of cyber searching and technology just saved me a great deal of extra work and trouble. Perhaps with this information it might save you a similar problem should you wipe out all those images of giant trout from your trip to Labrador or something. Oh yes a few of the images which I feared lost, I am so glad that they were not after all. On my less technologically challenged days I publish a range of electronic fly fishing related books, you can download them or purchase them from my website or drop me a mail to enquire further about the various titles.. This entry was posted on November 23, 2013 at 11:34 am and is filed under Uncategorized. You can follow any responses to this entry through the RSS 2.0 feed. You can leave a response, or trackback from your own site. Now any chance I can get a discount on another copy of the Guide Flies DVD – my copy is in my laptop which is probably somewhere in Masi or Ocean View. Oh my.my. I did the same thing of a sort while on a small ship cruise with the family in Alaska….while out somewhere on the sea, I thought I should simply delete the poor images. Well, I deleted them all. Sick, sick feeling and subdued rage. I was able to retrieve with a similar program back then about 70%. I was just looking at some the other night that I had retrieved the second time I did such a blunder….they reloaded but some reloaded combining 2 to 3 pics into one! I now have an internal mind control button that when my thumb moves toward the delete button I suffer a massive anxiety attack. So far that had kept me from such an error again. I think that I am moving more towards the anxiety attack scenario too now Gary. 🙂 At least I know it isn’t necessarily a lost cause anymore.